Flipping Archives - Gabhart Investments, Inc.
SAN DIEGO, Release Date â€“ Gabhart Investments Inc. sold the last property in its first micro fund, Gabhart Real Estate Opportunity Fund Series 1, LLC. The fund was invested in the purchase, rehabilitation and sale of multiple single-family homes over a 13-month period. 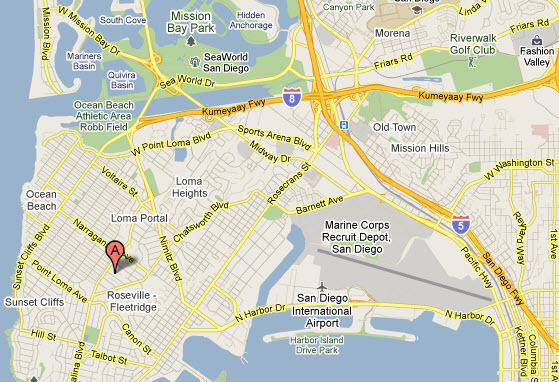 The homes were located throughout San Diego County with resale prices ranging from $250,000 to $500,000. 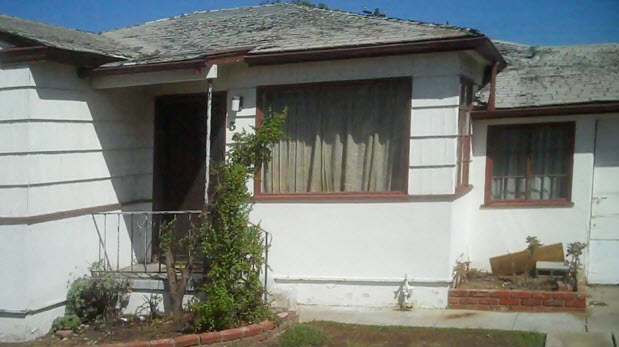 All of the properties were bank-owned or short sale purchases with rehabilitation costs ranging from $30,000 to $100,000. Gabhart Investments is currently managing three active funds focused entirely on 1-4 unit residential properties. â€œOur strategy with the funds is to minimize risk for our investors by purchasing multiple properties in each fund located in different sub-markets throughout Southern California. Investors benefit from an average of profits from several projects and they are also insulated from a lapse in one sub-marketâ€, says Curtis Gabhart, CEO. The investor partners in Fund 1 achieved a 22% to 26% (24% average) annual internal rate of return on their capital depending on their investment date. One of the many unique features of the fund is that as each property sells, investors receive a portion of their capital allocated to that project along with estimated profits. â€œThis structure is attractive to our investor partners as it provides short-term cash flow and allows them to reinvest back into another fund or invest elsewhere,â€ says Nick Walsh, investment manager. Gabhart Investments is currently partnering with multiple investors in their Series 5 fund. â€œWeâ€™re interested in working with partners that understand our current business plan and share our longer-term goal of expanding into new markets and investments. For example, we are in the process of creating a new fund to invest in first trust deeds within our niche market to provide investors with monthly cash flow and an alternative to our equity partnerships,â€ says Gabhart. ***The information within this site does not constitute an offer to sell or a solicitation of an offer to buy any securities. Financial results are un-audited company estimates only and are not necessarily indicative of future results which may vary substantially from those set forth herein. We invite you to join us for a free workshop at our newest completed project! Our workshop series covers the 5 F’s of Residential Redevelopment: Finding, Feasibility, Funding, Fixing, and Flipping. In this workshop we will primarily focus on what many consider to be the most challenging: Fixing! Our scope of work & budget and how it changed during the project. Challenges we encountered during construction. Permitting a garage and bedroom/bath additions with the city. Â Space is limited, so SIGN UP HEREÂ to reserve your spot! All those in attendence will recieve a copy of our initial walkthrough packet which can be used to estimate construction costs on your projects. Well it seems a lot of our hard work is starting to pay off. We will close on about 5 properties this month if everything closes on time (never does). 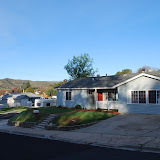 Our most recent acquisition is a 3 bedroom 2 bath with a converted garage in the Carlton Hills section of Santee. We plan on turning the converted garage into another master bedroom and bath by adding a 2 car garage to the side of the house. By adding the 2 car garage we will not only get a garage we will also be able to add 400 sq. ft to the house. We were turned onto this REO deal before it hit the market but since the lender/seller requiredÂ the listing agent to only look at offers from owner occupied for the first 15 days we decided not to put in an offer. Fast forward about 3 months we were introduced to someone who had it under contract because the FHA buyer who had it under contract for >$230,000 backed out due to foundation issues (which we have already fixed for $13,500). We gave them a $13,000 + wholesale fee (includes listing it on the back end for us) and closed on the deal for $175,000 last week. I just wanted to update anyone who cared and will be putting more information as we go. I also created a single property website in which I will be updating much more information than on the blog here. Please let me know if you like the site I created and what I can do to improve on it. 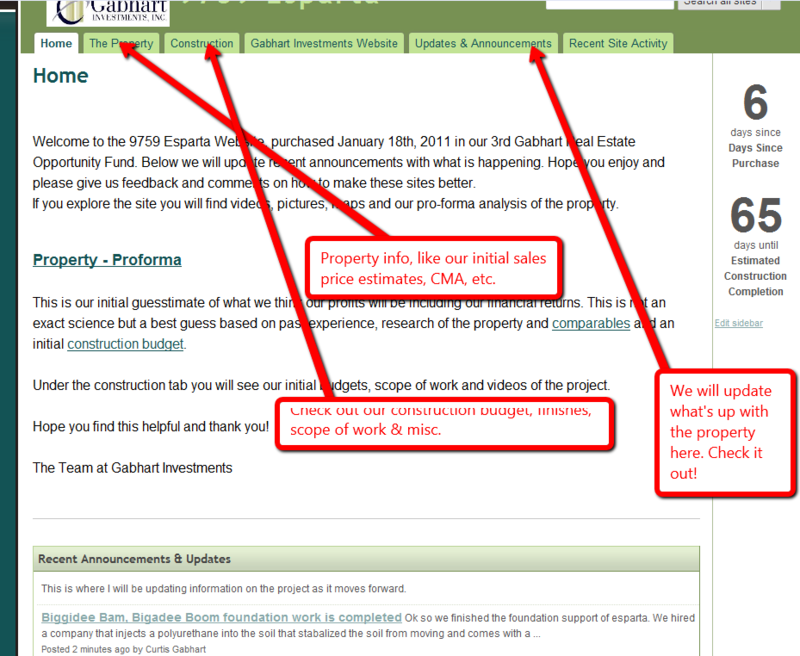 In the meantime check out our construction budget, pro-formas, pictures & videos. Here are initial numbers for this project. 1-2-3 SOLD and a 23 day holding time! I am very excited about this post as this is my first deal with Curtis and Gabhart Investments. As I mentioned in an earlier blog, I am very new to real estate and am interning with Curtis to learn the ropes of flipping houses and how to succeed in this market. This deal was not only exciting, but also unique in that the property was flipped so quickly and with no work or construction. It was valuable learning experience as I learned it is possible to flip a house, make a profit, and no work in less than 30 days. Below is the step by step process of the deal. So the property we picked for $320,000 on the 26th of October in Ocean Beach, we just sold it for $400,000 on the 18th of November. Here’s how it all began! None. We only went inside the property twice. Way back when on the 8th of October Curtis received from his website that a person wanted to sell a property in Ocean Beach. After c alling and qualifying the seller as to why he was selling (he just purchased and didn’t want to drive an hour each way to fix it up and decided to wholesale it instead) and some other important questions so we didn’t waste our time chasing our tail . This is important so we don’t waste time and have a good understanding of the seller and the property. Ring a ding ding and a ching ching we got an email from our website that someone had a property for sale. 1. The first thing we did is logged on MLS and other sites to compare the property and compile a few comparable which to evaluate and compare to the Coronado property. a. ALWAYS do this before you get in your car and drive a property, your goal is to eliminate as many wastes of time unqualified properties as possible. b.Basic paint and landscaping would be the extent of work needed on the exterior. Create nice curb appeal by bringing attention to the front porch and door, adding some river rock as a wainscoting up front and just bringing back the character of this style of house. c.The floors needed to be refinished (almost any condition hardwood floors can be made to look like new Curtis says), and a complete new kitchen with appliances and a couple other minimal touch-ups throughout the house was all the inside needed. We were thinking of redesigning the kitchen, filling in a door that had no real purpose except to take up precious wall square footage int he kitchen. d.The backyard was big and spacious, and needed only a basic cleaning up. e.A new front lock would also be replaced, as the current one was a bit cumbersome. 3.Upon leaving the property, we met a neighbor who informed us that other investors had been inspecting the property just an hour before. The race was on and we were off to drive the comps. a. The majority of the day was taken by driving & walking the property and driving the comps. 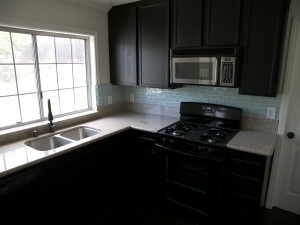 One of the comps we drove was a recently rehabbed property which we had put in an offer, but did not get the deal. The two were very similar, yet we felt more comfortable with our new subject property. 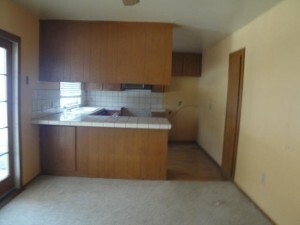 b.While both properties have 2 bed / 1 bath, the new one had less square footage. Our subject property we were buying did have a much much larger lot and was on a better street. Additionally our subject property had the add-on room, which was not on the tax records. This wouldn’t be beneficial for the appraisal but would act as incentive to a buyer. c. We try to drive, video tape, and take notes on each comparable property. Curtis mentions that you always want to try to look at it from the eyes of a buyer understanding that the buyer wants the best value for their money. Ask yourself some of these questions on each property you look at. House – equal/better/worse – We look at properties that are in similar condition and don’t compare ours to fixers since when we go to sell it typically it will be fixed up. We also see if there are things that can’t be fixed like street noise, yard size etc. In the video recorder we verbally give our assessment of the property so we can review it later. In addition this can come in handy dealing with appraisers later since many times they don’t look at the interior of the comps and you may need to justify your price to the appraiser with this being your back up. 4.Once back in the office, we run a proforma and play with the numbers to see if this venture is profitable. We start by running a quick back of the napkin proforma using the age old 70% ARV (after rehabbed value) minus costs for improvements. 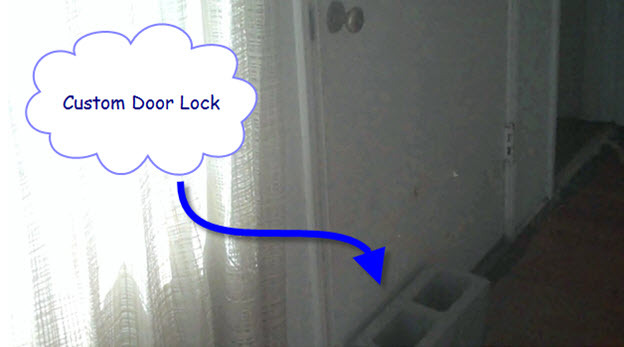 We quickly realized that this is a good deal, so we work to lock up the property. a. The project is so versatile, as it lent itself to many exit strategies. i. One possibility is to put it back on the market without doing anything or wholesaling it. The factors here are how much we would make and how quickly. ii. Secondly, would be to add minor paint and a roof and let the next owner really do the rest of the work. iii.Thirdly, we could fully rehab everything, including a full kitchen package, refinished floors, new windows, landscaping etc. The final option is to try and build and add anywhere from 500 to 1500 sq. ft.
5. Once we ran our proformas and realized we had a deal, Curtis called the seller. We verbally offered $310,000 and he asked if he could call us back at the end of the day, as he wanted to see if anyone else would offer $320,000. 2. $320,000; assume the financing the seller had for $320,000 at 6% interest for only 1 year. This reduced our hard money costs and ended up netting us more than offering $310,000 and also allowed the seller to get his price. 6.Curtis immediately wrote up the offer and sent it over and got a response that night. With the $320,000 and 6%, it was really a wining situation for everyone. We put in the offer at $320,000 and had it accepted within 24 hours. The terms were a price of $320,000 and the seller carry back 6% interest and only $1500 in fees for 1 year term. We had a 15 day COE (Close of Escrow) in which we closed in 12. As it was, by having the seller carry back the financing, we were able to save money which in turn positioned us better than the $310,000 all cash quick close option. Are their listings getting offers and for how much? Are they receiving close to asking price and if not, what do they think their property is really worth? Information on the sales prices and condition of the property, financing, concessions if it was a sold etc. We decided to let two of the local agents know that if we received $400,000 net commissions, we would sell and walk away. If not, we would let them know in 30 days when we were done rehabbing before we put it on the market , so they would have a chance to bid on it. 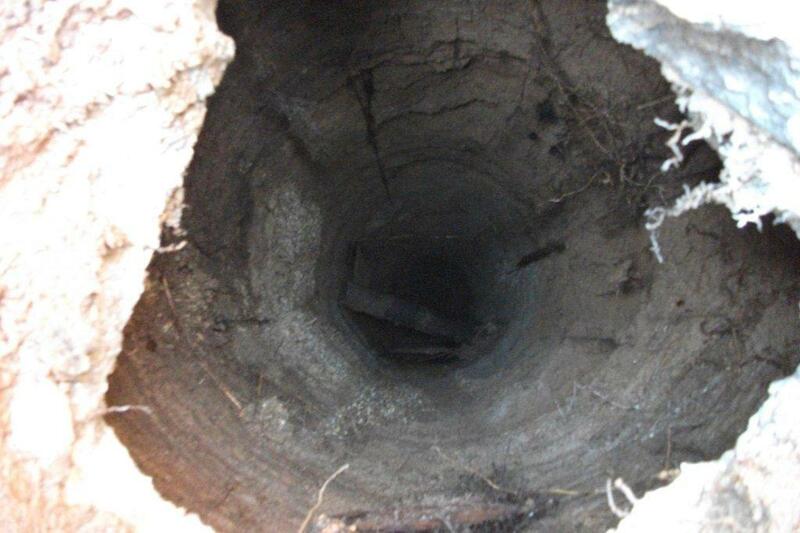 Ultimately, this was a fantastic property to find, and we are lucky we could flip it so quickly. It took less than 30 days from when we received the tip, to closing the property to the new buyer. This was sent to Curtis after we had bought it from the Seller. Thanks for purchasing the home on Coronado Avenue from me. You promised a quick and easy close and you delivered on that promise. We actually closed 3 days early on a 15 day escrow! You are to be commended on your honesty and integrity in this business dealing. 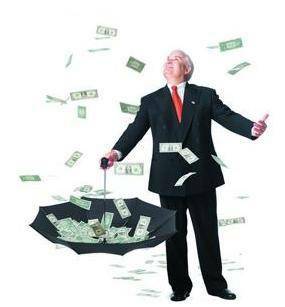 If everyone involved in real estate transactions performed as you have, it would make all of our lives much easier. You may use me as a reference for anyone who wants more knowledge of this transaction. By the way stay tuned for our most recent purchase at 6600 Shannon, 92115. This will be an interesting one since we are adding square footage to the property and re-configuring the floor plan. paying $13,000 in city fees to hook up the septic (pit) to the city. An appraisal that came in $20,000 to low. I must have been on a bathroom break (training the cat to pose for the picture above) while I was watching those get rich quick late night Real Estate riches infomercial (those nights I wake up thinking about sink holes, low appraisals, and dealing with city governments) hosted by those two midget dudes. Does one steer while the other brakes and accelerates? I just don’t recall seeing my little buddies mentioning those damned septic pits that cost 15 gees to take care of. In addition they didn’t include the super duper negotiating navigating techniques it takes to keep a deal together with these challenges.